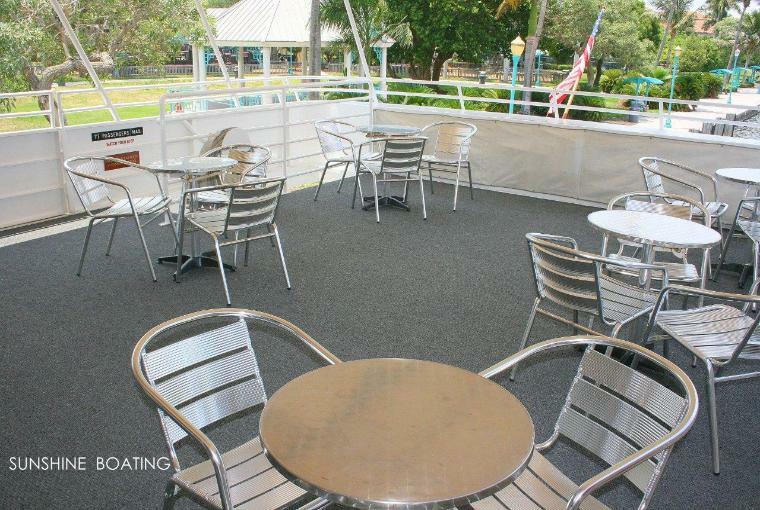 Location: Delray Beach, FL, Two levels for up to 150 maximum guests. Main level has a spacious dining deck with large panoramic windows and a VIP dining space for a few guests under a glass atrium enclosure. 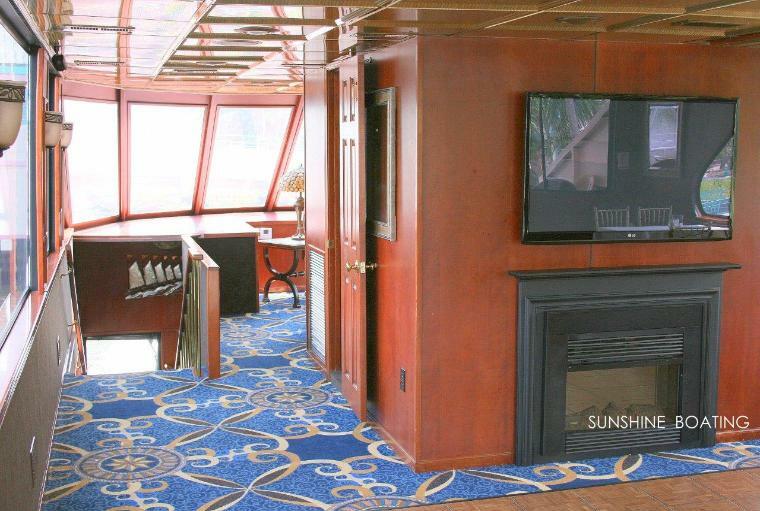 A centralized bar is based here on the main deck. The bow area is open to the sun and stars and fine for enjoying the view. The second level has a dance floor, overflow dining space and a VIP lounge up front with club furniture. 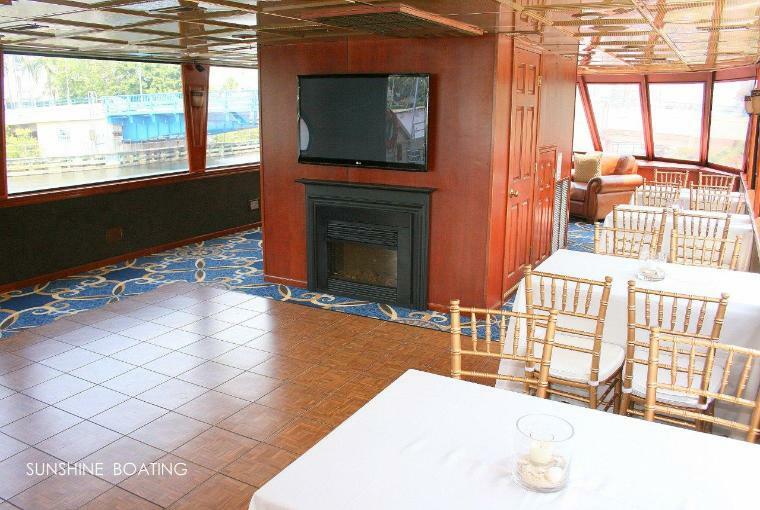 The covered aft deck area is a group favorite ideal for checking out the sights, enjoying cocktails, hors d’oeuvres and social interaction. 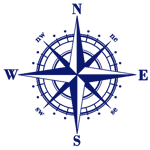 Based in Delray Beach,FL but able to be relocated to other areas including Palm Beach, Bacon Raton, and Fort Lauderdale. 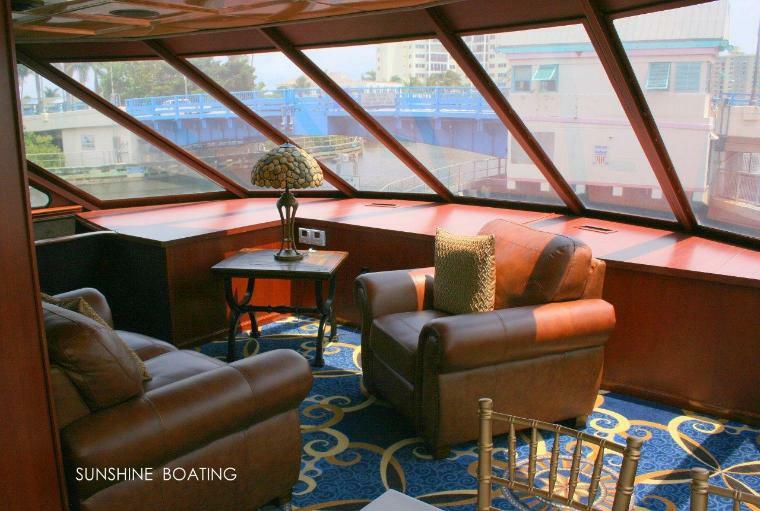 This vessel offers customized private and semi-private charters, weddings, birthdays and corporate parties, day or night. 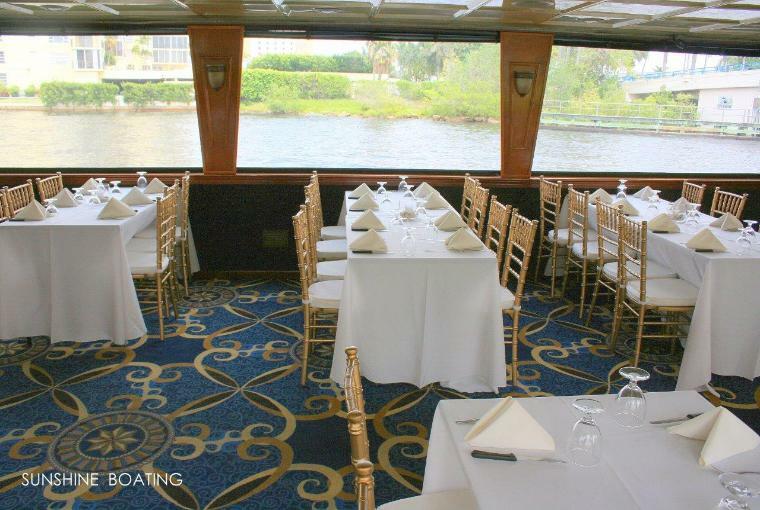 Ideal cruiser in Delray Beach for more intimate groups…perfect for 30 to 65 guests. 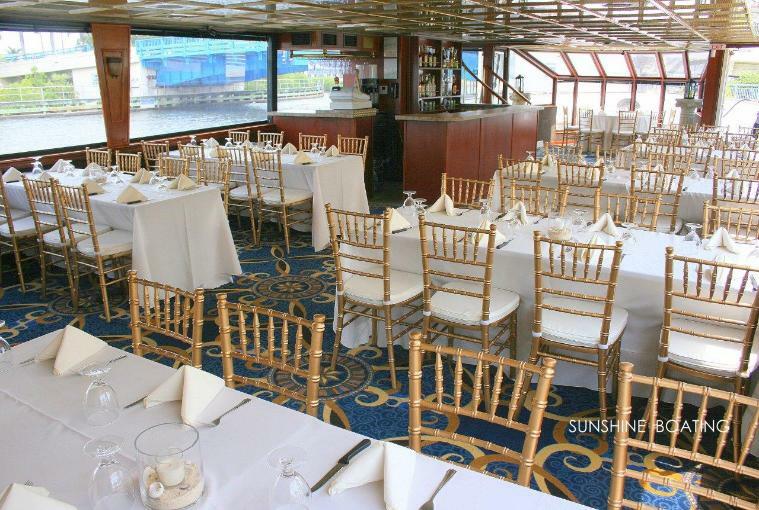 Glorious dining space with Chiavari chairs, large windows, atrium and full service bar. The dining room can comfortably handle 66 guests. 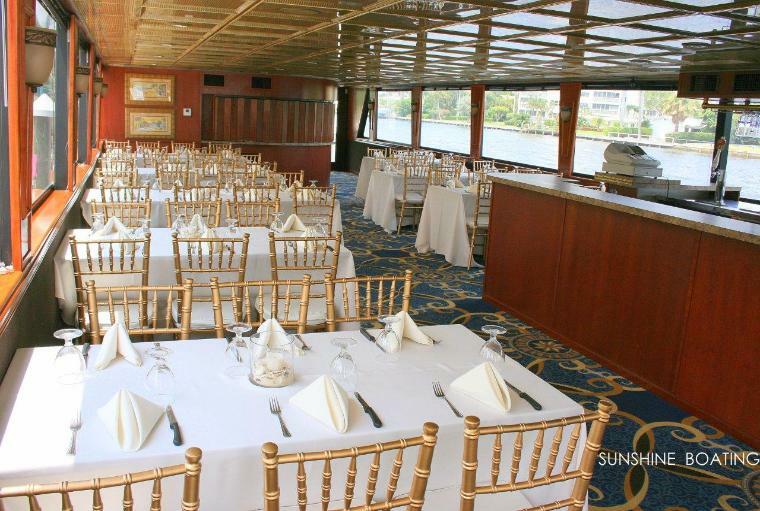 Overflow group sizes use the upper deck during dinner for an additional 24 guests. All dinners are prepared on board in the commercial galley by a full time chef and served with precision. Wonderful views of the passing seascape from every seat. Freshly redecorated in 2011. This one is in pristine order. 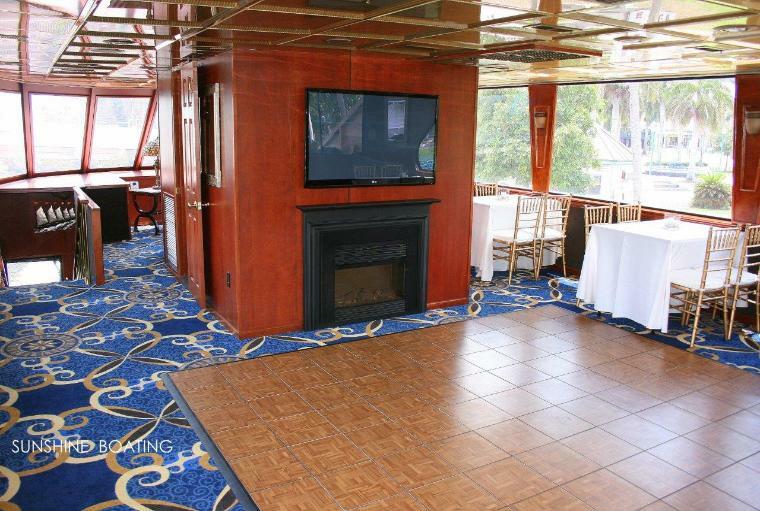 The upper deck features a dance floor, HD TV for logo branding / PowerPoint or DVD movie / photos as well as and optional overflow dining capacity if needed. Good flow top to bottom, front to back, for cocktail receptions. 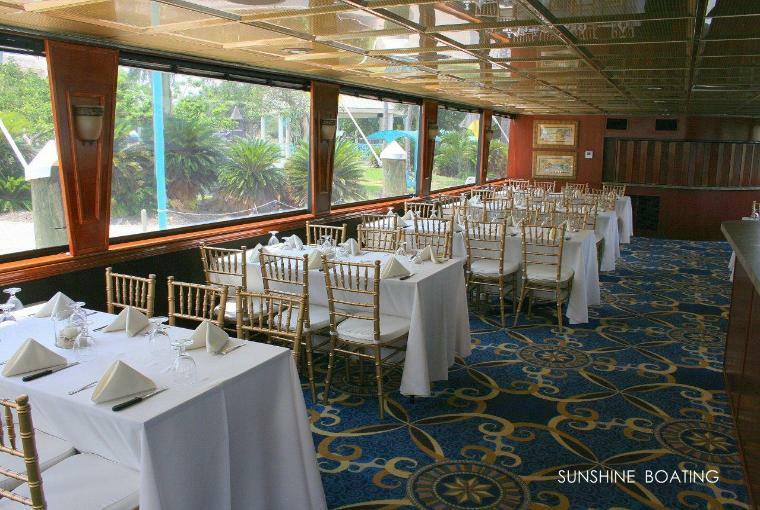 Shown are optional overflow dining tables on the upper deck. 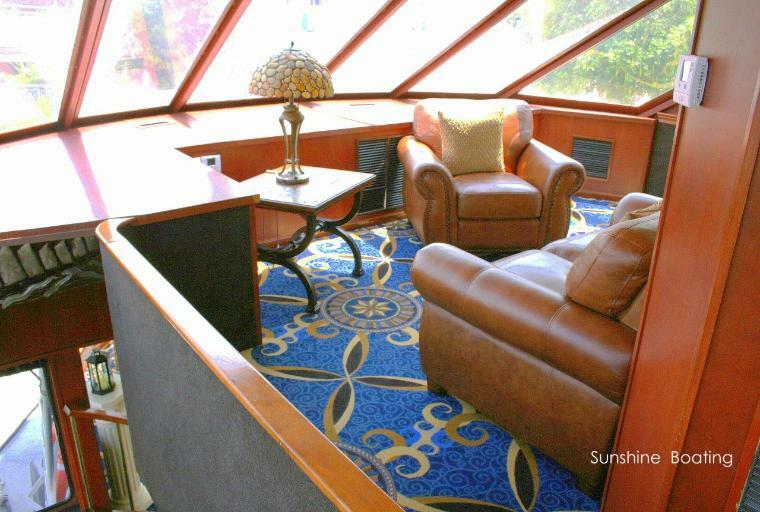 VIP club area on the front of the yacht. Club seating area on the upper deck. cocktails and hors d’oeuvres and conversation, all under cover, yet outside. 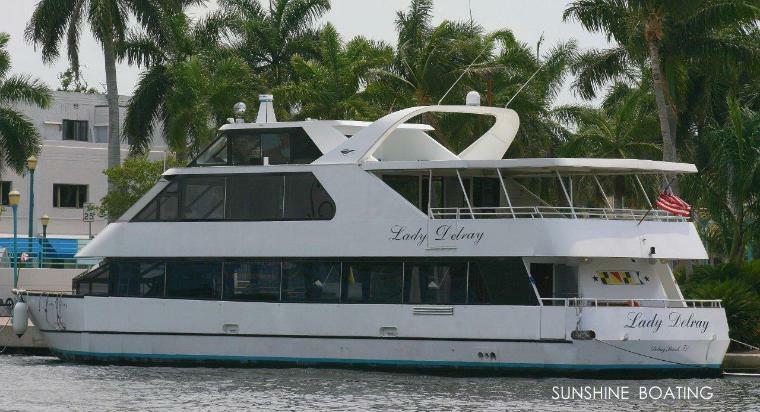 Cruise in comfort along the tranquil Intracoastal waterway…aboard the Lady Delray.